With the world of Mitzvahs on public display through Instagram and Pinterest, planning an upcoming event may seem overwhelming at first. There is a lot to consider – a theme, catering, invitations, entertainment, and more. Today’s teens are taking goodie bags to the next level with pick-your-own takeaway shops. From candy to accessories, teens can customize their mini-malls for their style and interests. Guests have different tastes in dessert, wear different sizes of clothes, and have different skin types for makeup. These pick-your-own stations are ideal for making sure every guest goes home with something they’re excited about. You and your event staff can set up these shops on banquet tables or on rented display cases. At a venue like The Crescent Beach Club, with its indoor/outdoor set-up featuring a large ballroom, patio, and beachfront, bringing in your mini-mall is seamless. Brighten up your venue with a modern glow with LED lights. Event planners are finding more and more clients requesting the use of LED lights to make a Mitzvah venue really pop. LED centerpieces: While balloons and floral arrangements remain popular, LED centerpieces are the new shining stars of your table. The possibilities are endless between incorporating LED tea lights, balloons, raindrop lights, orbs, and more. Dance floor: Venues like The Crescent Beach Club feature a prominent dance floor in their ballroom. However, if you’re going for a night-club vibe, you can take it to the next level with an LED dance floor. A popular option is an elevated dance floor with controllable LED lights that have different flash functions. Many of these floors can be controlled wirelessly. If you really want to continue with a night-club vibe, try adding some LED bar coasters, signs and portable LED furniture. These will finish off your decor with a full lounge atmosphere. These glow in the dark elements embody some of the most famed night spots in New York and Los Angeles. While buffets remain a staple at Mitzvah parties, today’s teens are looking to bring their favorite cuisine to their venue. Parents and event planners are turning to private chefs to set up a station at parties. Sushi lovers can rejoice by watching a professional sushi chef roll fresh sushi before their eyes, while sports fans can fuel up with a customizable cheesesteak from a food truck. Just like today’s goodie bags, Mitzvah food offerings are all about customization. These food stations allow your teen to pick their favorite global cuisine and share it with their guests to snack on throughout the party while interacting with a personal culinary expert. Mitzvahs of the past mostly revolved around an MC and a dance party. But, with increased access to innovative performers and entertainers, more and more parties are going above and beyond traditional expectations. Depending on the versatility and layout of your venue, you can surprise your teen with anything from acrobats to mermaids to highlight their theme. These acts may be part of the event or could be utilized as part of your teen’s big entrance. The venue itself can lend itself to inspire ideas. At The Crescent Beach Club, the full-access beachfront allows for sandcastle building, watersports, and other outdoor entertainment – making it perfect for beach lovers and teens looking to host their party at a tropical destination venue. This is why choosing the right venue for your teen’s vision is so integral in planning the event. Technology is changing the party industry. Whether it be decor or entertainment, planners should be aware of Instagram culture and the impact it has on the guest of honor and their guests’ expectations. Mobile photo booths became a popular feature for Mitzvahs over the past few years. However, today’s booths need to take teen’s shareability needs in mind. Rather than bringing in a traditional mobile photo booth with physical prints, consider renting one. Rental photo booths give users the option of sending the photos to a website platform where they can easily access the photos and share them on Instagram. There are even high tech booths available that create Boomerangs, which shoot short videos in a loop. Continuing with Instagram in mind, many teens create their own hashtags for their party that can be projected on the dance floor or ceiling so their friends know to use it for posting photos. The hashtag system will virtually create a photo record of your teen’s big day or night with easy access to view moments they may have missed during the event. 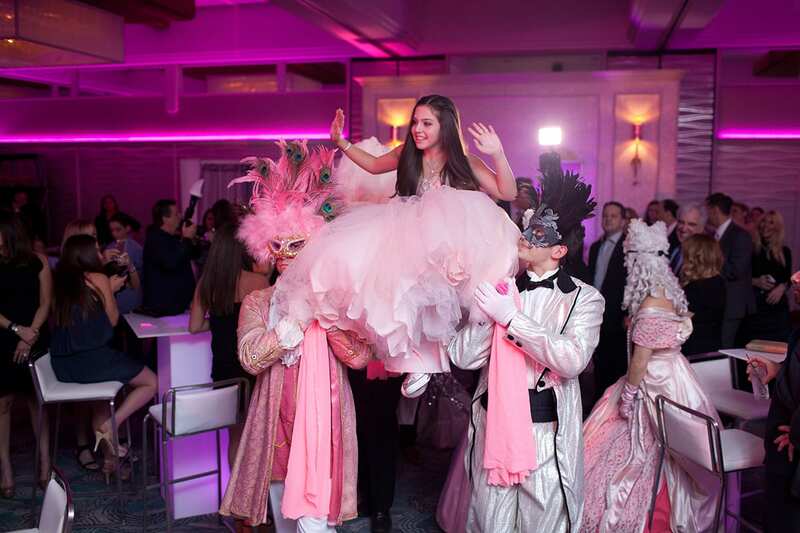 If you’re looking for a unique experience for your teen, The Crescent Beach Club – Long Island’s premier beachfront destination venue – is designed with event customization in mind. Our unique and diverse layout, featuring a ballroom, outdoor patio, and beach, allow you and your teen to plan an event that everyone will be talking about.